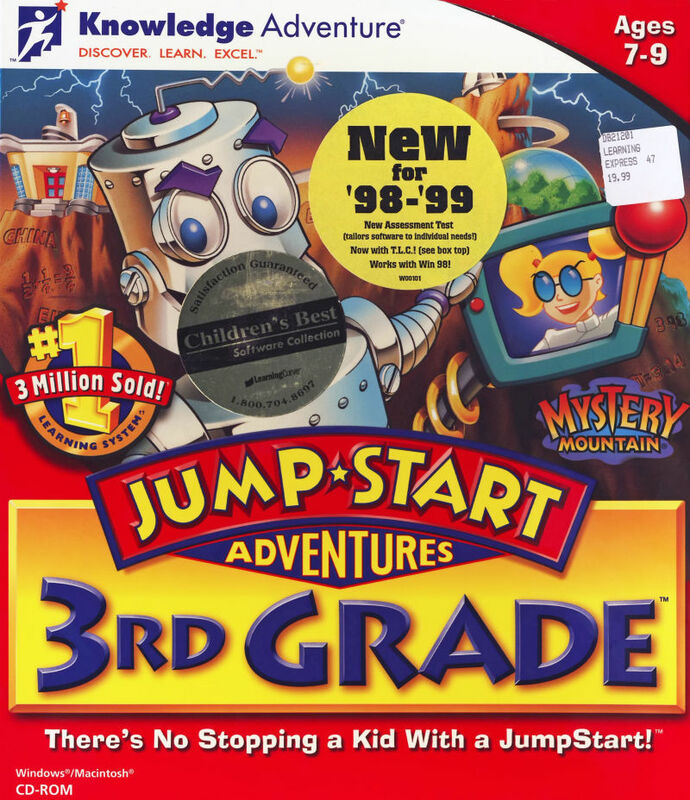 JumpStart Adventures 3rd Grade: Mystery Mountain is an edutainment title by Knowledge Adventure first released on PC in 1996. It tasks third-graders to learn stuff while unmaking the catastrophic changes to time done by Dr Spark's daughter Polly in his absence. Otherwise, pogo sticks will remain as the vehicle of choice, an orangutan will remain as president of the US and the Statue of Liberty will continue to be made of licorice. 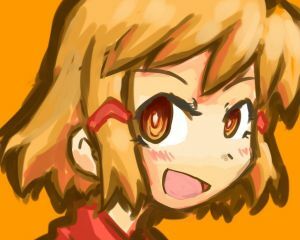 As is common for the genre, you basically play as yourself, with the characters spending most of their screentime looking at the fourth wall to talk to you. You enter a school next to the titular mountain, but before you even get to leave one thumbtack on the teacher's chair, a blue robot named Botley crashes through the window. He tells you that Polly Spark has sent 25 of her father's robots back in time and turned the present into a complete farce while Dr Spark is away on a trip. She did this because she was bored with a test and intentionally gave bogus answers. Insulted by the failed grade that followed her joke, she reprogrammed the robots so they would change history to her stupid answers. It is then up to you to bring them back and correct time. It's a nice setup, with good banter from both Botley and Polly whenever they interact. Botley is very driven and makes a good sidekick throughout the adventure. Polly is a self-centered jerk who's antics really make you want to stop her. While the setup and ending parts are good, I can't say so for the whole journey. With 25 robots to save, the game quickly becomes formulaic. You listen to the relevant question, hear Polly's dumb answer, find out which robot got tasked with changing history, find 4 clues for the time machine, do a quiz show and then save the robot. Rince, repeat 24 more times. I realise that they didn't intend for the story to be impressive, but I still think they could've done a bit more. Each question belongs in a set of 5, making the end of such a set a good time for some more story material. 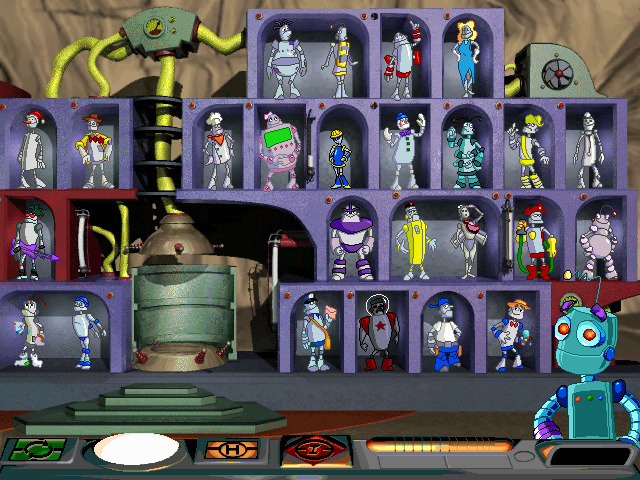 I'm thinking some flashbacks fleshing out the personalities of the robots would do the game well. As is, the robots you save only have a design. No voices, no personality and no fun animations. It's a real shame, as they seem like a fun bunch. It'd be even cooler if they could be found around the mountain or maybe even unlock new minigames for you. Naturally, there's a conversation to be had about the educational value of this game, at least for third-graders. The 25 questions cover some fun random facts from around the world and make for a decent framing device. 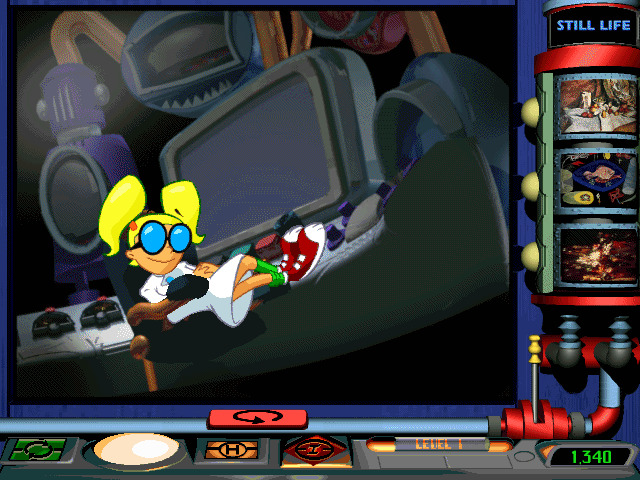 The actual educational value comes from the minigames you have to complete in order to get clues for the time machine. I will admit that the random facts in the quiz show can be pretty fun though. The art game tests basic reading comprehension, which is kinda boring. The art history game revolves around finding a specific work of art and getting to hear about the history and intention behind a bunch of art pieces on the way, which is pretty cool. It also has a tile puzzle based around pairing up things that match, which has some decent variety to it. The biology quizzes in the Biosphere are ok, but just lack depth. I much prefer the shrink ray room, where you need to examine animals and find the one with a specific quality, which means you'll get to learn stuff about a bunch of animals before getting to the right one. The observatory tests you on grammar, which world always the more of needs. Once you have constructed the sentences, you need to parse them and guess which star sign they relate to. It's more complex reading comprehension than in the art gallery, so it's actually worthwhile. It can get a bit overwhelming though, since there are so many damn signs. On the door to the music room there's a word scrambling puzzle that's ok, but can be easily brute-forced. The music room feels like a cop-out, since you only have to arrange sheet music, but not actually learn how to read it. That might've been too much, but it's such a lackluster minigame as it is now. One minigame that is a really surprising addition for 1996 is the programming minigame. You need to put commands in sequence to indirectly control a robot so it gets to a box. 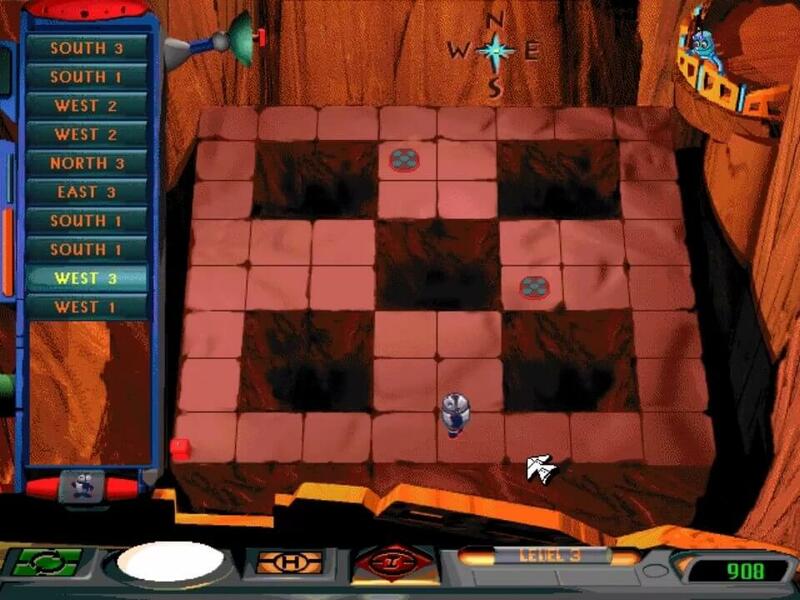 It's often fun and even manages to replicate the act of refining code as you go on, since you need to try out teleporters before you can make a solid plan. It is annoying that you need to reach the box on your last command, but coding can be incredibly pedantic, so that's rather fitting. Last up is math. The door to the kitchen demands ”large” calculations before you may pass. It's rather standard, but it works. Inside, you need to measure ingredients within a very lenient time limit, which is a realistic use case for math, so I understand why it's there. Every few minigames though, you need to go to the basement and do math to pair up batteries to get power for the mountain. What's good about this minigame is that the problems are simple, but you need to do a bunch of them within a somewhat strict time limit. So as you fail, you burn in more and more small calculations in your head. Changing the difficulty so it uses multiplication tables is probably the best version of the minigame. 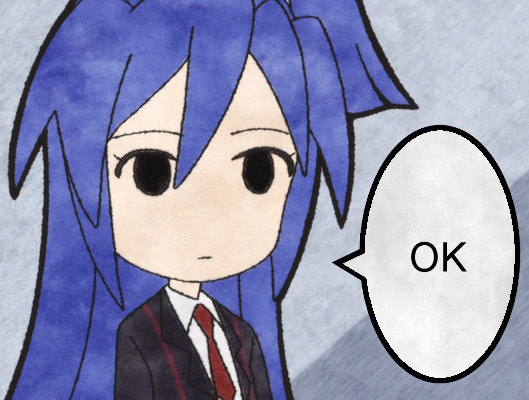 You can change the difficulty of minigames as you please, which improves a bunch of them and ruins some others. While that option is nice, I'd also like if there was a way to set up the game so it had a more gradual difficulty curve instead of the very distinct levels of difficulty present. It's somewhat noteworthy that a game of this nature isn't completely focused on being educational. There are in fact some segments of the minigames that are just regular games. They aren't particulary deep, but a little bit of variety is welcome. Only the drawing board and Breakout clone are any good however, as flying the explorer and shooting asteroids is just lackluster. I don't know what the optimal balance between educational content and non-educational content is though. As long as the educational stuff doesn't feel like a toll to get to the fun stuff, you're probably in the clear, but there's a lot of potential designs worth exploring. And with some refinement, this game could probably be a whole lot more.